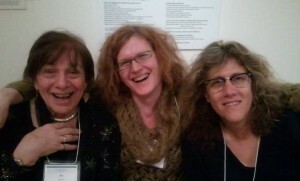 Left to Right: Ariadne Kane, Viviane Namaste, Susan Styker. Photo by Dr. Aaron Devor. You can never go wrong when you hang out with Ms. Bob Davis. 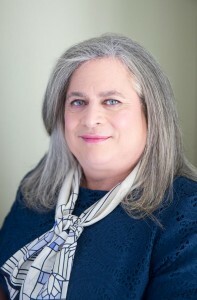 Ms. Bob is professor at City College of San Francisco and a serious collector of trans literature. She’s a multi-talented woman, with two of those talents being music and writing. I know her writing well—it has appeared, among other places, in Lady Like, Transgender Community News, and Transgender Tapestry, and on TG Forum. 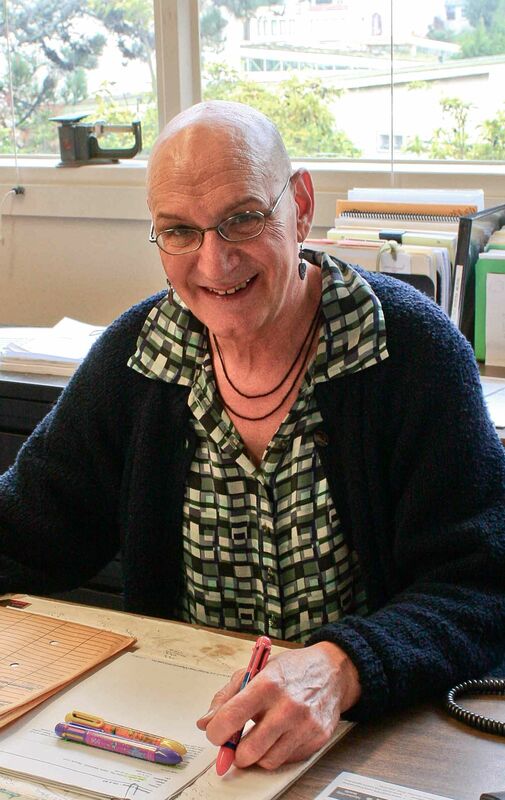 She once wrote a great comprehensive piece on the history of Female Mimics magazine which I published in the newsletter of the National Transgender Library & Archive. I learned about Ms. Bob’s musical talents only last week. They are considerable. She once owned a recording studio, has worked as a sound designer, and taught music at three universities! I was happy to spend time with Ms. Bob and borrow her black cable knit sweater for my talk—I had packed badly and left behind my own black sweater and other important items. We’ve known each other a long time, but never had the chance to have dinner together or ride together to a conference. The conference I’m talking about is the Moving Trans* History Forward Symposium held 21-23 March, 2014 at the University of Victoria on Vancouver Island, British Columbia, Canada. The event was put together by professor and academic director of the archives Aaron Devor and his highly competent team. About 100 trans and supportive theorists, historians, activists, and scholars attended. The University of Victoria is emerging as a center of transgender history due to its acquisition of several large archives. 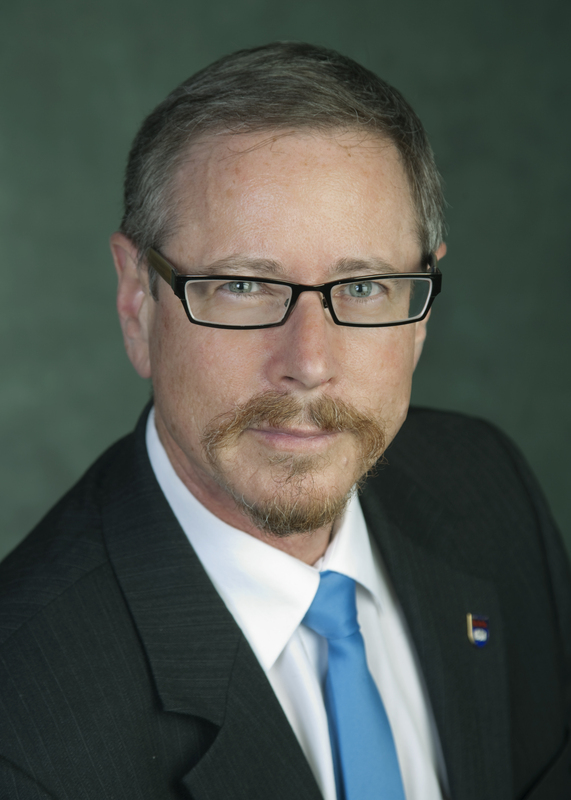 The first acquisition was the collection of the Rikki Swin Institute, which, in the first part of this century, purchased collections from Virginia Prince, Ariadne Kane, Merissa Sherrilll Lynn, the estate of Betty Ann Lind, and The International Foundation for Gender Education. RSI ceased operations in 2004 and the whereabouts of its materials were unknown to the public until Dr. Devor announced the acquisition at the 2011 WPATH symposium in Atlanta. Since then the materials have been transported and are being cataloged; many were on display for conference attendees to see and touch. Under Devor’s guidance, the university has made several other acquisitions, including the papers of trans activist Stephanie Castle and British Columbia’s Zenith Foundation support group, papers from the estate of the late Reed Erickson, and the archives’ largest acquisition Richard Ekins’ The University of Ulster Trans-Gender Archive, which recently arrived from its former home in Northern Ireland. It was exciting to see the materials on display—especially insofar as I kept coming across my name in the various magazines—but the attendees were friendly and equally interesting and the presentations were exciting. The symposium opened on Friday evening with a reception at the Legacy Arts Gallery in downtown Victoria. In his opening remarks, university president Jamie Cassels talked glowingly about Aaron and his transition at the university. Aaron said in his own opening remarks he had had the full support of the university, including Dr. Cassels, and that was certainly the case! After a breakfast, Saturday’s sessions opened with remarks by Aaron and University Librarian Jonathan Bengtson. There then followed two days of talks. There were concurrent sessions, so I had to miss a lot of talks I really wanted to attend. I’m going to mention only a couple of talks. The many I won’t be writing about can be viewed here. Willow Arune gave a great presentation in which she described her successful efforts to track down Geoff Brown, the author of the 1966 novel I Want What I Want. Brown had been missing from public view for more than forty years! Willow said Brown told her he had never seen the 1972 movie based on his book. She finished her talk by saying she had donated the original movie poster she had on display and signed copies of both of Brown’s books to the University of Victoria trans archives. Lisa Vecoli of the Tretter GLBT Collection at the University of Minnesota gave a talk titled “Moving Beyond What the Founders Kept.” She was the first of several people to say during the course of the meeting that the things which aren’t archived are as important as the things that are. Our Ms. Bob gave a presentation called “Do the Clothes Fit? Clues to Transgender Identity in Photographs of Crossdressing.” She showed dozens of photographs of crossdressed people from the past and explained how she had developed criteria that enable her to make an educated guess about who was and who wasn’t serious about their efforts. Saturday’s luncheon keynote was a vivacious speech by Viviane Namaste. Viviane spoke about transgender cabaret in Montreal in the mid XXth Century. It was a remarkable and fascinating performance, illustrated with images of performers and clubs that were 50 or more years old. She spoke of the importance of using legal documents to track our presence in cities and communities, citing things like building permits and liquor license applications. Viviane’s display “Through Words and Images” ran throughout the symposium, telling the stories, with photographs, of HIV-positive transwomen in Paris. Paris has long been a magnet for transwomen, who are still going there in considerable numbers. Saturday evening’s keynote was delivered by Susan Stryker. It was open to the public and a number of people who weren’t registered for the symposium were in attendance. Using the bio which appeared in the symposium materials, she explained the many things she had done, why she had done them, and how they had come about. She finished by announcing the formation (in process) of the world’s first university-based transgender studies program. Sunday morning started (after breakfast) with a plenary in which Dr. Devor (Founder and Academic Director, The Transgender Archives, University of Victoria), Stephanie Castle (Author and Founder of the Zenith Foundation), Dr. Ariadne Kane (Professor of Sexology, Institute for the Advanced Study of Human Sexuality, San Francisco, A Founder of Fantasia Fair, and Founder of the Outreach Institute for Gender Studies), Rikki Swin (Founder of the Rikki Swin Institute) and Lara Wilson (Director of Special Collections and University Archivist, University of Victoria) each spoke. None other than Jude Patton moderated the session. That afternoon one of the concurrent sessions addressed something about which I have recently become concerned—preservation of our digital history. Tami Meredith of St. Mary’s University talked about ways to retrieve and store trans-related information from the web. The Reverend Moonhawk River Stone spoke about his experience with online storage of the trans political group NYAGRA’s correspondence and materials; when, after he lost paper copies in Hurricane Irene, he turned to the electronic version, it had been taken down and the material was gone forever. Last fall Hawk and I met for lunch at a diner on the New York State Thruway and talked about our concerns about just such loss of our electronic history. Hawk took full advantage of the internet for his talk; he appeared, for health reasons, on screen from his home in Albany. Aiofe Hart of the University of British Columbia spoke in a beautiful Scottish accent about YouTube transformation videos and the challenges they pose for those who post them and for transpeople in general. I gave Sunday’s keynote. It’s up on the Body of Work portion of this website, with images. I had a grand time in Victoria. I was in town a day early, which gave me time to recuperate from the long flight. I took Friday morning and afternoon off and explored the city, which is a beautiful and fascinating place (with excellent weather!). I had time for the briefest of naps before meeting Aaron, Lynn, Susan Stryker, Jude Patton, Viviane Namaste, University Librarian Jonathan Bengtson, Lara Wilson, Director of Special Collection and University Archivist, and Jennifer Pritzker and her companion in the lobby of the Marriott for an early supper. When the symposium was finished, I made plans to meet with Jude Patton in the Marriott lobby to chat the evening away; Ariadne was due to show up as well. This somehow happily turned into a trip to Aaron and Lynn’s house, where we were fed and we talked until weariness overcame us. Ms. Bob, Michael Waldman of Baruch College and K.J. Rawson of College of the Holy Cross joined us. It was an exciting and heady time. A new trans archive has been born, and another portion of our history made safe. Congratulations, U. Victoria! I met a lot of interesting people and had a great time. And I got to wear Ms. Bob’s fabulous sweater!